Rich analysis of project work. Go Online with flexible plans that help you quickly and easily sign up for the service that best fits your business needs. Get up and running with enterprise-grade reliability and zero up-front infrastructure costs. Add teams and projects within minutes with a web-based portal. Immediately glean insight about your portfolio with new point and click reporting capabilities. Get started quickly with easy onboarding, provisioning, and ramp-up in a web-based environment designed to optimize time and help teams get more done. 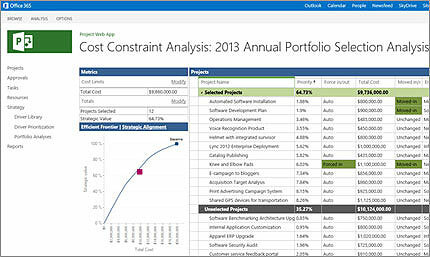 Use the new visual tiles to quickly begin or flex project portfolio management capabilities. Enable your teams to work within a familiar environment. 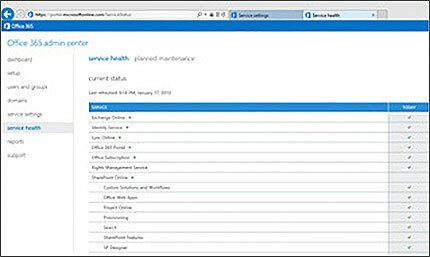 Project Online includes SharePoint Online and comes to you through Office 365. Choose between devices and browsers — Internet Explorer, Firefox, Safari, Chrome, and more — to view, edit, submit, and collaborate on project, portfolio, and everyday work. 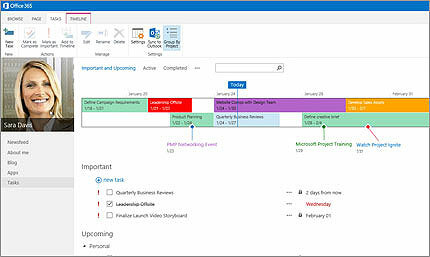 See and act on your tasks (including business and personal) in one location. Effectively plan and manage tasks with the help of new scheduling capabilities. Keep your teams organized in one location — their project site — where they can view project summaries, documents, tasks, newsfeeds and calendars. Access Project Pro for Office 365 from virtually anywhere with Project on Demand. 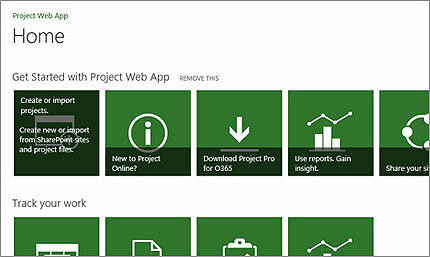 (Project Online with Project Pro for Office 365 only). Effectively manage resources with Project Online to see what your teams are doing — even when they're managing everyday work or ad hoc projects in SharePoint Online. 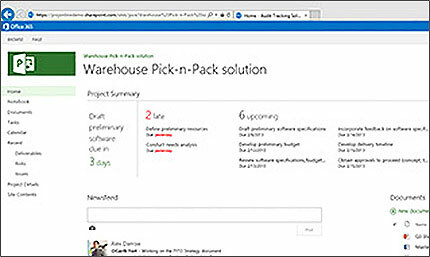 Sync SharePoint Online task lists with Project Online to report on your team's activities. Better manage your project pipeline and what your people are working on by capturing their ideas in SharePoint Online task lists and evaluating them in Project Online. Accurately measure resource utilization and better manage resource allocation that aligns with your strategy. 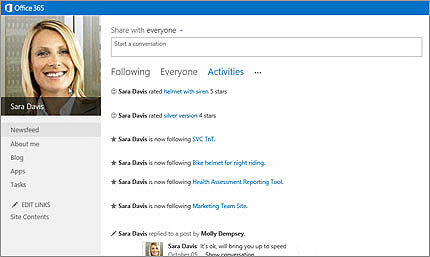 Strengthen everyday collaboration with the social experiences of SharePoint Online, which facilitate discussions, information sharing, and your team's ability to get work done. Easily share and curate what teams are talking about and working on by following people, sites, tags, and documents with newsfeeds. Utilize the search capabilities of SharePoint Online to execute everyday work and projects more effectively and find the right information. Take advantage of powerful security features to share information and collaborate with trusted business partners on projects and everyday work. Promote visibility with collaborative tools to seamlessly flow calendar, presence, and capacity information across your organization. Seamlessly communicate with new ways to collaborate and have conversations improve overall teamwork. 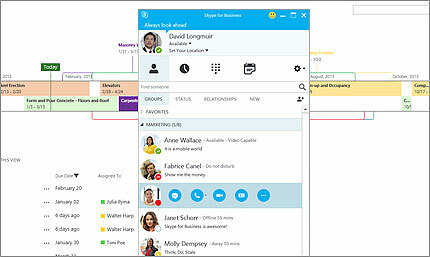 Hover over an individual's name in your project plan to see if a team member is available to talk or instant message (IM) with Skype for Business Online. Collaborate with your team quickly by dragging and dropping them into a Skype for Business meeting for group conferencing, instant messaging, screen sharing, and shared workspaces. Make data driven decisions by equipping team members with the information they need to stay informed and make better decisions. Use summary dashboards to help gain insights and make better decisions. 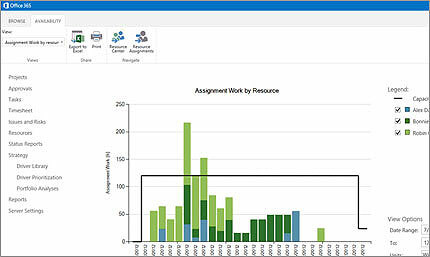 Optimize utilization and plan allocation for your organizations resource requirements through the resources center. Quickly mine and aggregate data on many dimensions via self-service access with Excel Services. Simplify IT with leading cloud services to add flexibility and security while easing technical complexity. Sign up directly for Project Online in a straight forward and immediate provisioning experience and choose from a variety of subscription plans that best fit your business needs. Easily give your teams and trusted business partners the right level of access through a new SharePoint integrated security model in Project Online. Separate IT and business settings – your Project Management Office (PMO) or business sponsor can manage PPM settings without additional assistance from IT. Ensure your business stays more secure and available through 24/7 IT support and compliance with an ever-growing list of regulatory certification standards, such as FISMA, ISO 27001, and HIPAA. Utilize Active Directory (AD) synchronization in Project Online to choose which AD group contains the teams that you want to assign to projects. Utilize industry standards such as ODATA (open data protocol) for data mining and business intelligence. Rest assured with continuous data backup, disaster recovery, and globally redundant data centers. Quickly innovate and respond to opportunities with a unified Microsoft cloud services experience in SharePoint Online, Exchange Online, Skype for Business Online and Office 365. 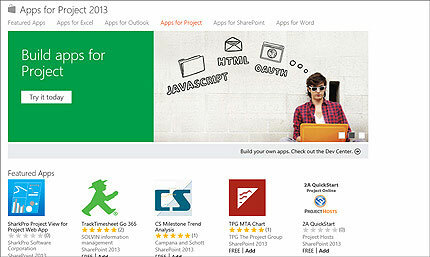 Utilize apps from the new SharePoint Store to meet unique business needs. Quickly develop and deliver apps that help you shave time off discrete processes or connect to proprietary software systems. Bring together different disciplines such as ALM, NPD, and IPM through a connected and scalable PPM platform. Companion offering for team members to manage tasks, collaborate and submit timesheets. Project Lite is not a stand-alone product. It can be used only for projects managed with Project Online or Project Server. Timesheets: Project Lite enables Team Members to view timesheets, enter hours, add or remove tasks from timesheets and turn in timesheets. Manage tasks: With Project Lite, Team Members can report the progress of tasks, add new tasks, assign themselves to existing tasks, and assign their tasks to someone else on the team. Add issues and risks: Project Lite lets Team Members add information about project issues and risks as well as enables them to link issues and risks to specific tasks on the plan. Collaborate: Project Lite delivers a perfect collaborative environment for Team Members to store and work on project documents, view other projects across the organization, view updates that have been submitted for approvals etc. Anywhere access: With Project Lite, Team Members can be productive from virtually any device from nearly anywhere. 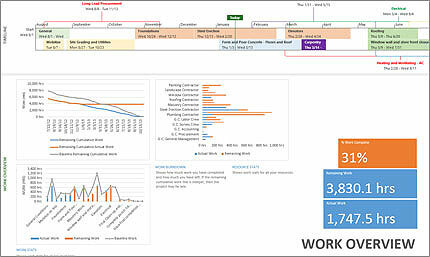 Project Lite enables Team Members to ramp up quickly, collaborate with one another and manage their tasks effectively. We stand by our 99.9% uptime promise with an industry-leading financial guarantee. Yourdata is yours. We safeguard it and protect your privacy. Easy to use and control. You can add and remove users in minutes.Use PowerShell for creating custom scripts and automating processes. Plans for 24/7 phone support for advanced IT issues. Microsoft community support provides online answers, how-to resources, and connections with other Office 365 customers. Easilymanageand collaborate on work as a team without the structure of a project, but have visibility into the work for planning and reporting purposes. Gain visibility into projects, operationalactivitiesand everyday work. Streamline project initiation and progression by applying appropriate governance and control. Deliver results with your workforce today and plan for the future to manage surplus and deﬁcits across a planning horizon. Collect, categorize, understand, and make decisions about project data. Utilize business intelligence (BI) to provide visibility and decision support to proactively manageprojects,programsand portfolios. Microsoft PPM solution is backed by hundreds of Microsoft Partners who earned the PPM Competency, undergone relevant exams and conducted numerous deployments in over 80 countriesworld-wide. When help is needed with assessment, envisioning, deployment or training and you are ready to engage with Professional Services organizations—reach out to a PPM partner in your region.